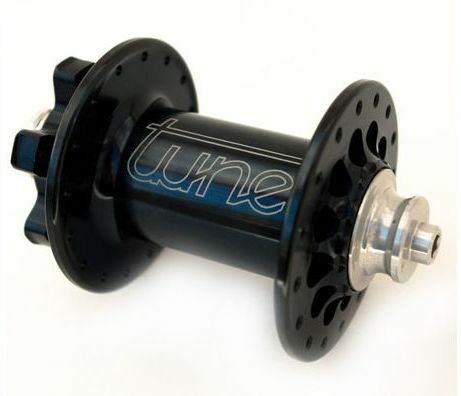 All Tune hubs are available to order - please state colour, axle type and drilling when ordering via the Contact Page. Typical delivery time is 2-3 weeks. Precision German engineered hubs - some of the lightest and durable hubs available. The King is a tough, light 6-bolt disc quick release skewer hub - ideal partner for the Kong rear!